Our readers are distributed across the country and around the world, which means most of them, unless they live in the Southeastern United States, aren't near a Publix Super Market, so they don't see Publix' television advertising. It's very low-key and until the end, it's not obvious who is sponsoring it, unless you catch how they are using Publix products. Even then, they're not selling food. We thought that with Mother's Day coming this weekend, all mothers everywhere and their children, no matter what age, would appreciate this message. 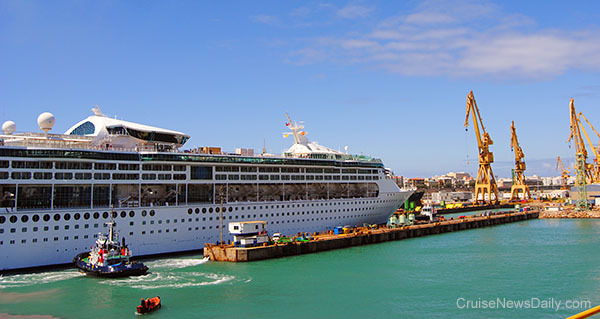 Royal Caribbean International's Grandeur of the Seas entered dry dock at the Navantia Shipyard in Cadiz, Spain this week for a 5-week $48 million revitalization. The process will add some of the line's newest features to the ship. Grandeur will return to service on May 31, 2012. 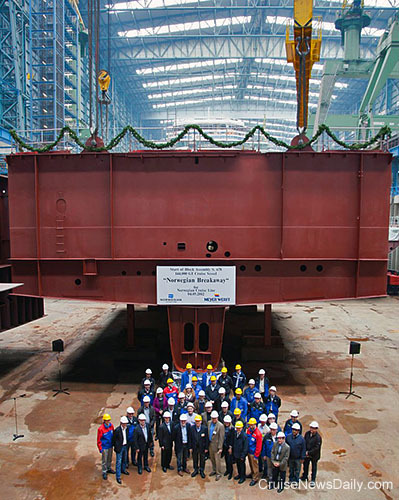 Meyer Werft laid the first block of Norwegian Breakaway at their Papenburg (Germany) yard on Friday (May 4, 2012). The block was the first of 73 which will comprise the 144,000 grt vessel (measure of volume rather than weight). The first block itself weighed some 350 tons, and 72 more of these building blocks will be assembled to form the ship. Norwegian Breakaway is scheduled to enter service in May 2013.